There’s nothing like being Robert Plant’s vocal partner in the sadly short lived Band of Joy to bolster your visibility. After finishing an album and tour with Mr. Lemon Squeezer, singer/songwriter Griffin retreats to a far more intimate setting for tunes thematically built around her father. 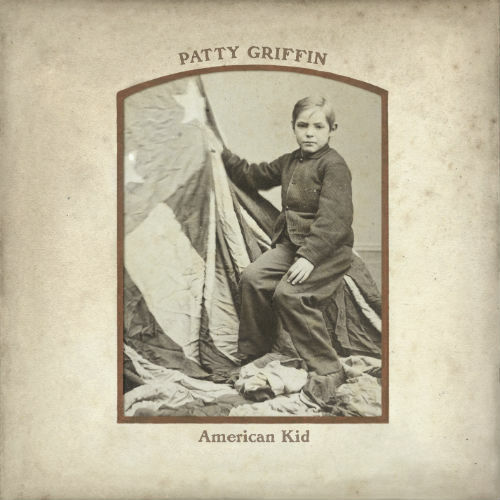 She even plays the part of the male protagonist for a handful of them including the piano based “Irish Boy,” the waltz time, barroom drinking shuffle of “Get Ready Marie” and the reflective “Not a Bad Man.” Co-producer Craig Ross leaves plenty of room in the largely acoustic mix for Griffin’s intimate voice to shift from hushed to soaring, often in the same track. The only cover in the dozen song set is Lefty Frizzell’s “Mom & Dad Waltz” an appropriately touching love song to her parents. Drums and percussion are kept to a minimum, but when they do appear on “Ohio,” a duet with Plant, the effect is haunting and mysterious. He also co-wrote the melancholy “Highway Song” that floats along with images of ghosts, dust and stars falling from the sky. Arguably the disc’s high point is “That Kind of Lonely,” a ballad where bowed bass and Griffin’s own acoustic guitar provide a bed for some of her most moving and emotionally searing vocals. North Mississippi Allstars/brothers Cody and Luther Dickinson make subtle appearances but nothing here could be considered rocking. Rather Griffin digs deep into introspective lyrics, some with historical references, to display her distinctive vocals and original songs with stripped down arrangements that use space and the silence between notes to create shimmering music you won’t soon forget. For another take on American Kid, read critic Jim Beviglia’s review.